While convenient, email seems to be increasingly a distraction in law firms and most other businesses. Furthermore, email chains about important cases sit in our inboxes next to spam, family interactions, personal information, and more spam. Due to the sheer volume of emails received, lawyers and firm staff often waste time navigating them to find case information. Despite all this, is email really on the way out? If so, what will replace it? 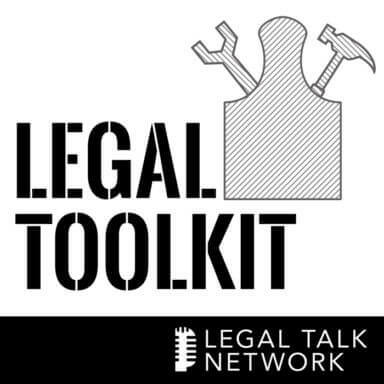 In this episode of The Legal Toolkit, Jared Correia interviews Ryan Anderson, trial attorney and founder and CEO of Filevine, a project management and collaboration tool for lawyers, about email inefficiency and the future of communication in law offices. Together they discuss how the lack of restriction to email access has become a problem for lawyers, businesses, and individuals. If you are working from your inbox, anyone with your email address can disrupt your workflow. Ryan suggests email as a virtual “front office,” collaboration tools for projects and cases, instant messaging for urgent matters, and overall effective communication processes for law firm efficiency. In the future, he says, lawyers will form teams outside of a firm structure, and many more will work remote. Tune in and let us know whether you believe in the death of email. Ryan Anderson is the founder and CEO of Filevine, a project management and collaboration tool for lawyers and consumer professionals. Ryan is also a founding partner and trial attorney at Bighorn Law. In five years, Bighorn has grown from two attorneys in Nevada to seventy employees across four states. Jared Correia: Welcome to another episode of the Legal Toolkit here on Legal Talk Network. If you’re a returning listener, welcome back. If you’re a first time listener, hopefully you’ll become a long time listener. I am your host, Jared Correia, and in addition to casting this pod, I’m the assistant director and senior law practice advisor at the Massachusetts Law Office Management Assistant Program. LOMAP provides free and confidential law practice management consulting services to Massachusetts attorneys. For more information on LOMAP’s offerings, visit our website on MassLOMAP.org. You can buy my book, Twitter in One Hour for Lawyers from the American Bar Association on iTunes or at Amazon. My co host, Heidi Alexander, is with me again next month, when you will have only to pine for my return. In the meantime, if you’re feening for podcasts, check out our lunch hour legal marketing show where we’re in the process of releasing an exclusive set of interviews called the Summer of Lunch; hashtag, Summer of Lunch. But back here on the Legal Toolkit, we provide you each month with a new tool to add to your own legal toolkit so that your practices will become more and more like best practices. In this episode, we’re going to talk about email, how we all wish it would just go away and whether or not it actually will. The history and future of an entire communications medium in half an hour or less. I guess where we’re going, we don’t need roads. Our guest today, Ryan Anderson, is the founder and CEO of Filevine, a project management and collaboration tool for lawyers and consumer professionals. Ryan is also a founding partner and trial attorney at Bighorn Law. In only five years, Bighorn has grown from two attorneys in Nevada to seventy employees across four states. Ryan is a father of four, a cycling fanatic, and a workaholic. Of course, right? Well, Ryan, welcome to the show. Ryan Anderson: Thanks, Jared, thanks for having me. Jared Correia: Alright, let’s bang a gong and get it on here. Now, Ryan, how does this work exactly? You’ve got four kids, you founded and managed a law firm, you founded and managed a software company and you like to cycle. Do you have a laptop built into the handlebars and the kids are riding in the back? Just logistically, how do you manage all this stuff? Ryan Anderson: We just do that on the weekends, Jared. But what I can tell you is first of all, it’s not always pretty, but we do make it work. I’m lucky to have a wife who has graciously taken on the role of mother to our four children full time, and so she handles that. But in all seriousness, the delegation is a really big part of it. I kind of look at what we’ve been able to do and I remember hiring that first employee and thinking, “Geez, will we have enough to pay this person? Is it really the right move?” And it seems to me to be the case that every time we’ve hired somebody and brought on more capacity, it tends to increase what we can do for our clients, for our employees, and gives us the ability to focus on larger issues, be more creative at the firm. And so I think that’s part of it, is really just being able to delegate and grow. So that’s how we’ve done it. I certainly can’t say that it’s been easy but that’s kind of been the secret sauce. That and long hours, I’m not going to lie about that. Jared Correia: And you remembered to thank your wife, which is very important, right? Jared Correia: Probably the most important thing. So in the first half of the show I think we’re going to talk a little bit about email and then we’ll talk about some broader subjects moving on. But first of all, Mark Twain once said something like the reports of my death have been greatly exaggerated. So do you really think email is on the way out? Jared Correia: Oh, don’t worry I will. Ryan Anderson: Fair enough. Where it ought to exist is kind of in the front office, so to speak, and virtually. So we do our work in a back office which really ought to be a separate system. And so people can come into the front office, they can knock on your door, see who’s there, alert the world, but that second step of actually getting into your workflow, that needs to be in a diferent place. That needs to be done in a different place virtually, on your computer, whatever system you might use is fine. But actually going and doing your day to day work in your email inbox is a very bad idea. Jared Correia: Let’s stick with the Mark Twain theme for a second here. Mark Twain – although this is not his quote, people often attributed it to him – said, “I didn’t attend the funeral but I sent a nice letter saying I approved of it.” Is this how you feel about emails? It’s sort of like you’re fine with no email, it seems like, and you think this is a good thing. Ryan Anderson: Absolutely I think it’s a good thing. Now, again, email is probably a necessary function of our lives and will be for a long time, but its role is going to be limited. We’re no longer going to use it as a de facto to do list. It will become more and more a place where I think as we develop tools to manage email, it’ll be really a place where people come to contact us and those we want in our circle of work that actually is getting done and those who we’d want to collaborate with on a daily basis about a particular project. Right now, most of the world has those daily collaborations inside an email inbox. That doesn’t make any sense at all. There’s no reason that should be next. Your email is about a big project you’re doing, it should be right next to emails about Viagra, right? That doesn’t make any sense at all. And yet your email inbox kind of gives them the same billing. You can have your billing space and discussing negotiations on your very biggest file. And at the same time you’ve got mail from Microsoft or it might be sitting next to its junk. So it’s just not a good way to organize and manage your cases, your projects, all the things that you’re doing. So I think we’re developing tools. My company is and other companies are doing a great job at this as well of getting things out of the email inbox that shouldn’t be there and getting the people out of your email inbox that really shouldn’t be there, communicating with them in a different way and a more secure way in kind of a trusted system. Jared Correia: So let me tell you how I feel about email. I feel like email’s your obnoxious drunk uncle. You know he’s going to show up at Christmas even if you have a new address you haven’t told him about. So let’s move on. We both appreciate that maybe email’s not the best way to communicate. Let me ask you this, especially as a young lawyer – which you are. What other communication methods do you find effective if you want to avoid email? Jared Correia: Yeah, a lot of people like that. Ryan Anderson: Yeah, and then we think Filevine is a phenomenal chat app and what that does is it actually keeps your communications within the project as you’re chatting. So we like that, but every tool has its good and bad. And I think I would encourage people to find one that’s right for their firm. But boy, you can really get a lot done without having to interrupt people. And I kind of look at this – if I could wax philosophical for a minute. Jared Correia: Go for it. Ryan Anderson: We have a theory of interruption that we’ve developed at Bighorn Law and now in Filevine. And the theory is basically that as urgency increases, more intrusive means of communication are allowable. But the less urgent, the least intrusive communication methods should be used so that you’re interrupting at the least amount possible. So a face to face meeting is totally appropriate. You can pop into somebody’s office if you’ve got a judge on the phone or some super important issue. But you probably shouldn’t pop into somebody’s office to ask them about a case where nothing needs to be done for the next 45 days and it’s going to take everybody 15 minutes just to look at the file and figure out what the next step is. That’s probably not a good time to jump into somebody’s office. So I put chat pretty low on the scale but even lower than that is project management. And I really think that every lawyer will adopt some form of project management tool in the next two to five years, because that’s where you’re going to get the flow of communication out of your email inbox and into the case files in a way that is completely unintrusive to users. Those are two tools that I would recommend right off the bat are project managements and chat apps. Of course, there’s video chat, there’s a whole bunch of other things, but I recommend those two. Jared Correia: And that’s good stuff and I think they underline the thing that you’re talking about as well as connectivity, getting the important information into the same place. In the meantime though, if folks are on G Chat, you can still talk to your significant other or friends and family until work is overtaken by chat as well. So let’s change the topic just a little bit. We’re talking about productivity in a lot of ways, but to be productive, people have to eliminate distractions or reduce distractions. So what are some of your best tips for people to reduce the amount of interruptions they get in any given day? Ryan Anderson: First of all, we have instituted at our firm – and I’m sure a lot of firms have something like this. But we’ve instituted a hard policy called “quiet time.” It sounds like something a five year old might do and maybe that’s what makes it good. Ryan Anderson: That may not be an inappropriate analogy sometimes. At the end of the day we have wonderful employees, but what we’ve figured out is that you actually need to schedule the time to do work. I think my first employer said, “Work expands to fill the time you give it.” I think that’s true. What we say is two days a week, we block out four hours. In the morning on one day and the afternoon on the other. And we literally say you’re not allowed to take a phone call unless it’s an emergency and we need it to be quiet. People shouldn’t be chit chatting at the office, there shouldn’t be text messages. Whatever the case may be, it should just be you nose to the grindstone working. And then of course, the rest of the time it’s just a normal office atmosphere. But that gives everybody an excuse to say, “Hey, don’t interrupt me. I’m in my quiet time, I need to complete the cycles that are part of this period.” And that’s been very helpful for us. Jared Correia: That’s a great idea, and you know you get at least eight hours of work out of your employees during the week, right? By the way, Bighorn Law, I like that a lot. I think I should come on as of counsel, that’s a cool law firm. I don’t know if I can be quiet, though. Ryan Anderson: This is why we have all these employees, they know they only have eight hours of work. But yeah, we love our people and they do great work. Jared Correia: But the quiet time idea is a good idea. Any other methods you use to reduce interruptions that you want to talk about? Ryan Anderson: Yeah. We’re a big fan of standup meetings that we do once a week with each – we work on a case manager basis where each case manager has a set of files. And we like to have those conversations typically standing up. It sounds kind of silly and a little new agey, but if people are standing up they’re a lot less comfortable. But believe it or not, they get a lot more done. They kind of quickly roll through things, there’s less chit chat and less philosophical discussion of the world and you actually move things forward. We do that once a week and that kind of outlines the program for the rest of the week, and those are mandatory meetings every week, we think those are very valuable. And then I would just step back and talk about, again, this kind of continuum of interruption that we discussed before. You should communicate appropriately. So not every conversation requires an in-person pop into the office. Not every communication requires a phone call. I’ll tell you, we talk about the death of email. Phone calls are a close second in my opinion. When the phone rings, you don’t know what it’s about, and so you don’t know if somebody’s calling to tell you something incredibly important or something that can totally wait. Yet your phone’s ringing and bothering you and you have to make that decision and you don’t know. So we’re a big fan of text messages. We think that’s a far better way to handle things, that way you’re not interrupting somebody and the receiver can evaluate whether the issue is important enough for them to pick up the phone. We think that’s essential and we think it’s especially essential to clients. Text messaging to clients is something that is not done very often in the legal industry and it’s odd that it’s not. Most industries, when you see the dental industry, the medical industry, picking up SMS directly to clients, and that has not happened in the legal industry. So that’s something that’s a big deal. Jared Correia: Absolutely, that’s a good point you make as well about other industries, but lawyers are slow to catch up anyway and we’ll talk about that later on in the podcast as well. So I think that’s a good start but I’m a little tired from killing email and everything, I don’t know about you, Ryan. So we’ll take a break. When we get back we’ll address some broader topics with Ryan Anderson of Bighorn Law and Filevine. Jared Correia: Welcome back. We’re joined today by Ryan Anderson of Bighorn Law and Filevine, and we’re talking about the death of email, the rise of productivity, and how he makes his employees feel uncomfortable. Ryan Anderson: Boy, I hope they never listen. Jared Correia: So part of what we’ve been talking about up to this point is how legal technology applications change the way lawyers communicate or can change the way lawyers communicate, I should say. So I think the hallmark of a lot of modern legal technology that’s been developed is ease of use. So how important do you think it is that modern law firm technology be simple and easy to use? Ryan Anderson: I think it’s critical for a couple of different reasons. Number one, you have lawyers who quite frankly, many of them didn’t grow up in the digital age. They’re comfortable with paper, they’re comfortable with paper files. And you can’t have a system that kind of looks and feels like they want it to look and feel, then simply, you’re just not going to get adaption. And I think that’s the big reason a lot of these tools fail is you have two or three kind of champions at a firm for a new particular software, but two or three of the lawyers – perhaps one with a partner says, “Well I’m not using it.” And then no one can use it. Because if you don’t have adaption within a firm, everyone’s going to say, “Well geez, we kind of go to the lowest common denominator,” which tends to be, by the way. Ryan Anderson: Yeah. And so that’s why a lot of this happens, is you get a failure of adaptation and it really just takes away adaption entirely. Number two is I look at the disconnect between how much lawyers are willing to spend on making their office environment nice and comfortable and a place where they want to be and spend time. And then I look at some of the legal software that’s been built over the past twenty years and you think, my goodness, they’re staring at a screen all day in a beautiful office, but the screen looks like it was designed in the 90’s. And in fact, it was in some cases. So we’ve made a real big push to make Filevine. It’s as nice to look at as possible, we spent a lot of time on that and we continue to refine that. We believe that the user interface is actually the most critical part of the product. Because you really kind of live in the software when you’re working at a law firm nowadays, and especially with remote work and things like that. You want to be looking at a screen that makes you comfortable. Jared Correia: Yeah, those are great points. So what do we like about the 90’s? Smashing Pumpkins. What do we dislike? Legal software. But as you indicate, the software is getting better. So in an environment where software is being improved, where it’s becoming easier to use, why are lawyers still so slow to adapt new technologies that can ultimately improve their productivity? Ryan Anderson: You know, I deal with this all the time. I was just at a legal conference this weekend and there are definitely lawyers who are slow to adapt. I think the biggest issue is really path dependence. There’s a way that things are done, and to change the way that things are done requires that they invest some time in a new structure and a new infrastructure and a new system. And that business interruptions often unacceptable to a lot of attorneys. And look, I understand that. I would borrow a quote from one of my favorite books which is the E-Myth and just say, “You’ve got to spend some time working on your business, not just in your business.” Just going out every day and being a lawyer and doing it, doing it, doing it is great. I love being a lawyer but I think at the end of the day, you’ve got to say wait a second, we need to take some time out to build better systems and better infrastructure around the firm. And those investments pay off tenfold down the road. So I think the biggest problem is path dependence, I think there are others as well. I think there are some security concerns – which in my opinion are just not well founded in today’s environment. And then lawyers just are more comfortable with paper. They like paper evidence, they like paper files. They grew up around paper, they like books. And that’s something that will change over time. Jared Correia: But I guess you’re quoting books too, so that’s good. So we’ve got a good symbiotic thing going on. So even though there are lawyers who don’t’ embrace technology – and there are a lot of lawyers who are tech forward and I should mention that as well. Let’s talk a little bit about what new technology applications mean for the future of law practice. How is this going to affect generally the way lawyers practice, say ten or twenty years from now? Ryan Anderson: I’m really excited about where the future of law is headed. I think you’re going to see less Brick & Mortar firms. I think you will see a lot more attorneys working remotely. That happens now, but boy, I think that trend is in its beginning stages. When you look at some of the tools that are available now, you can do so much remotely that you really just don’t need to be in an office as much. And what I also think you’ll see is as you see project management tools proliferate, lawyers will begin to form teams that have nothing to do with the firm’s structure. You can do this on Filevine, I think you can do it on other types of software as well where you can form teams around a particular legal case. So in Filevine, you can say we’re all working on this particular case, and it has nothing to do with which firm you’re with. You just invite the people that are stakeholders in that case to the file and everybody’s communicating and collaborating with various permission levels right there in that case. And what I think is going to end up happening is lawyers are going to end up saying I really don’t need to be in a firm environment necessarily to work like that. And so I think you’re going to see a lot more freelancing. I think you’re going to see a lot more lawyers join up with squads of lawyers that are there for a particular project and then move on to the next one. I think that’s where this is going. Jared Correia: Where in the world do you think legal education’s going to play in the way that lawyers practice in the future? Ryan Anderson: I look back at my law school time – which I loved, by the way. Jared Correia: Fondly, of course. Ryan Anderson: Yeah, maybe not so much the first two. But I look back at it and I think that everything I do today at my law firm is focused on teams and team communication, collaboration, moving things through a team process. And none of that occured in law school. Law school’s a cutthroat individualistic atmosphere. You get individual scores, you get individual grades, you get individual awards. And so I think in the future, hopefully we’ll have more law schools promoting team based projects. I was lucky enough to speak at LEGALTECH in Washington DC and there was a big movement for law schools to work on cases as groups. So we’re going to work on it together in teams of three or four students because that’s actually how it works in a real law firm. Very few law firms just say go be an academic and we’re okay with that. That’s usually not how it works. So I’m a big fan of where that’s going and I think it’s the right move for law schools. Jared Correia: I think we just stepped into the Lego movie, here. Everything is awesome when you’re part of the team, right? Do you guys play that at the office? Ryan Anderson: Yes, we do, we do. All the time. Jared Correia: Well unfortunately, it’s sad because I’m having a good time talking to Ryan here. But we’ve reached of another episode of the Legal Toolkit. If you’re feeling nostalgic for our prior episodes or other shows or an episode that Ryan talked about, you can check out all of our shows any time you want at LegalTalkNetwork.com. So big thank you ro Ryan Anderson of Filevine and Bighorn Law for taking the time to come by the virtual studio today to talk about email management, legal technology, the future of law, cycling, and et cetera. Ryan, can you tell our listeners where they might be able to find out more about you, about Filevine and about Bighorn? Ryan Anderson: Absolutely. I’m on Twitter, @RyanM_Anderson, and you can learn about Filevine by just going to Filevine.com and Bighorn Law is just BighornLaw.com. Jared Correia: Thanks again, Ryan. Ryan Anderson: Thank you, Jared. Jared Correia: And thanks to everybody out there for continuing to listen to my inane blather against the backdrop of the wisdom of our various regular guests.